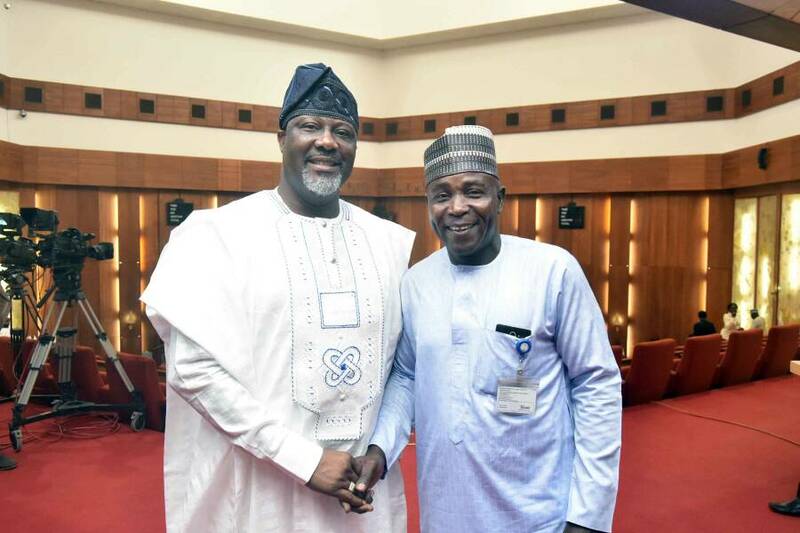 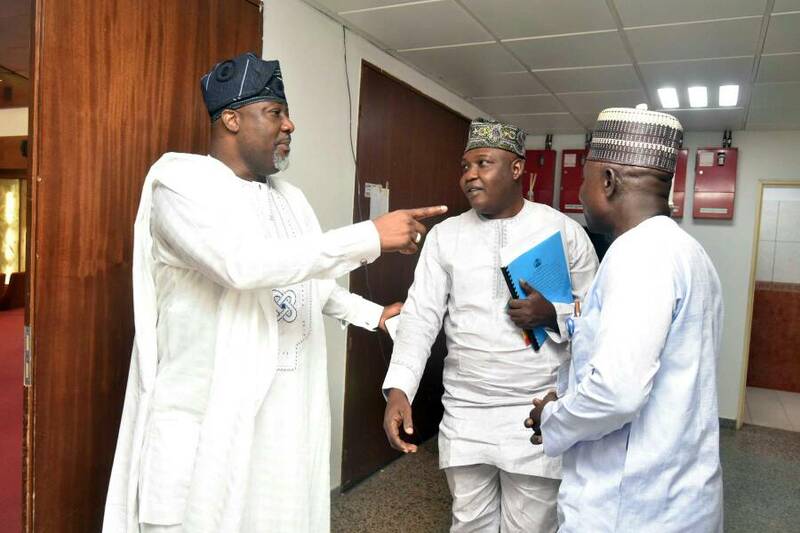 Federal lawmaker and proactive sentor Dino Melaye was spotted recently sharing pleasantries with his close friends across boards including Teddy Betso at the upper chamber recently after a legislative session. 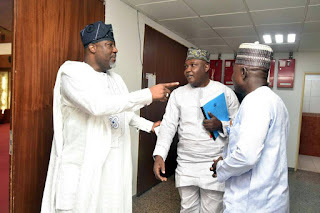 The outspoken politician is known for his simplicity and humility especially in relating to friends and fans beyond his constituents. 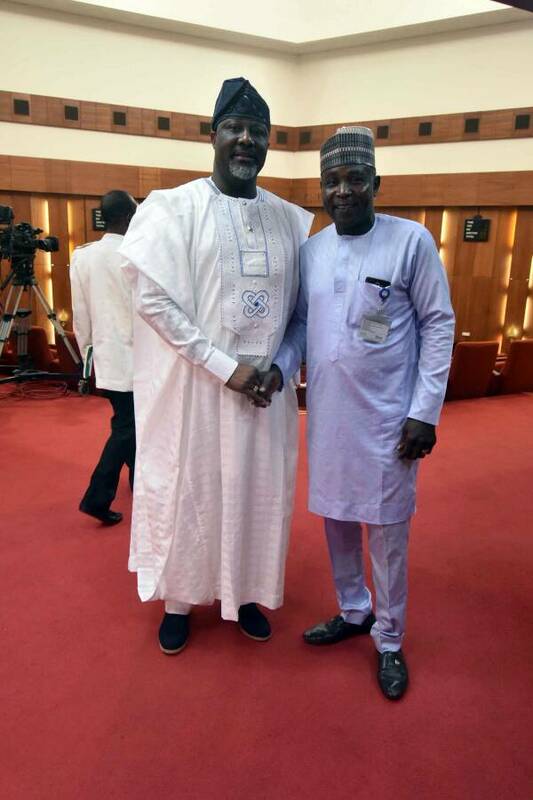 His friend Teddy Betso was excited to be pictured with Sen. Dino who he regards as a dignify and noble specimen of humility at the upper chamber. The well- known astute politician, with an unusual vision for his constituency has always engaged new reforms for residents in his Constituency - Kogi West senatorial district which also includes empowering them both in employment opportunities and entrepreneurship advantages.